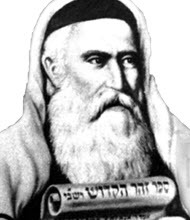 This series of articles is dedicated to the elevation of the souls of my Father and Mother, Yichye ben Chaim and Yehudith bat Nechemia. After they both passed away I felt strongly to write about the body and souls and how they are working together in this existence, we call life. The word for generation in Hebrew is “דור” and it comes from the root word “דר”, which means to dwell or dwelling. Our souls dwell in material body and in a material world to be able to act and make changes that affect the soul. To explain it simply imagine electrical power, it won’t affect any thing until it is channeled through a device. Without the electrical power this device is just a simple matter. (This is not completely true because there is no matter, only what we perceive as matter. ”דרי מעלה” and “דרי מטה”, Upper and lower “Dwellers”. The sages refer to two kinds of “dwellers”, upper and lower. They do not refer to the tenants in the floor above or below you, they refer to the souls that dwell here with us, in the limited body and the souls in the supernal worlds (notice plural form). When a soul passes away she receives a special clothing to match her spiritual level. It determines the level of freedom in the spiritual realm. The higher the soul, so is the ability to move between levels. After the first seven days the soul can disconnect from the material level and start ascending. This process could take usually up to a year, when the flesh of the body dissolved in the ground. Now when the body consciousness of the person is strong then it takes longer time for the soul to leave the body. This is very painful process. The soul must be separated form the body in order to continue with the spiritual process. This process is called “Hell”. Righteous people, that dedicate their lives for the service of others, may keep their body intact in the ground. Their spiritual work elevated their material body to a higher consciousness where there is no negativity and therefore no decay. They have shorter process to separate the soul from the body. They experience little or no pain. That explains why the sages said that even righteous people pass through the gates of hell. To understand what the fire of hell is, look at fire as the element or tool, which transforms matter to “spiritual”. Fire evaporates water quicker than other “solid” materials. As the body consciousness gets “thicker”, it requires more fire for the process. The sacrifices in the Holy Temple were such transformation. The priest transfers the “sins” to the animal and the fire consumed the material body and released the negative energy. There are different types of sacrifices and this is for another paper. Just understand that fire transform and actually separate matter to energy. Because matter does not disappear from existence, it transforms. If the body disappeared it doesn\’t mean that its energy lost. Please submit your comments below this article. DailyZohar.com Zion Nefesh on Beshalach – Why are you crying out to me? Marlene Tovar on Beshalach – Why are you crying out to me? Zohar Lech Lecha – What’s in God’s “Will”?